Birthday in Central Park has been published! Well, this is a new sensation. In the past three years I've finished two novels, both 38K-word middle grades. Now I'm reaching the end of an adult sci fi, which I'm expecting to be about 67K words. The rhythm feels different from the previous two, and each day I can't believe there's more to write. Of course, 67K isn't all that long for a novel, but to me it's massive. I've set myself a strict deadline of July 15 for completing the draft. At my current rate of output, that's reasonable, but I find myself pushing through brain fog that thickens with each passing day. How very thrilled I will be when I can move on to the next stage! Hope I like what I see when I come out the other end. The past few days have been devoted to liposuction on a story that needed to be reduced in size by fifty percent. That challenge, however, was equalled by the need to alter the story's language so that it was appropriate for a British market. The experience was frustrating and hilarious, particularly since the story in question is about contemporary tweens. Pop culture, sports, fast food: all these topics show up in my story, and the language describing them relies on regionalisms. This morning I was sure I'd nailed all the problems. Fries had become chips. There was no mention of baseball. Mom was now Mum. Oh, and 4000 words was now 2000. Feeling proud (sorry, feeling chuffed), I printed the story, and only then did the funniest error occur to me. I am a music teacher, and this story deals with music. But I had not thought to change the American "eighth note" to the British "quaver" or "sixteenth note" to "semiquaver." Oh, well. I caught it just in time and reprinted. Sure hope this finds a home in a Brit-influenced land, but it was a fun experiment in any case. Neil Gaiman's novel The Graveyard Book begins with all but one member of a family being murdered in their beds at night. Yet this is a middle grade novel! It makes me consider how Gaiman could pull off such a thing. What makes writing true horror, and what is just scary? Wet. Not bloody. It's the implication that's terrifying. Time to make an official commitment to Write 1 Sub 1. It's what I've been doing anyway, at least while I'm not teaching: finish a story per week. That's on top of working on the novel, of course. I'm curious to see whether taking this, um, oath of office has any effect on my writing life. What I'd really like to join is Write 1 Pub 1, but I can't find a link for that. 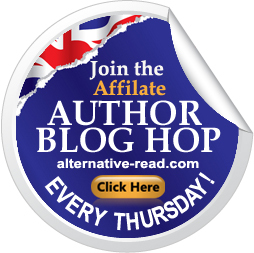 Thanks to Alternative-Read and L.P. Robinson for an interesting blog hop question: "How would you define a 'twist'? Do you use a twist in every scene or just at the end of the book?" I thought this would require a long answer, but, speaking only for myself, it's pretty straightforward. Baby, I twist more than Chubby Checker. if by "twist" we mean the plot heading somewhere unexpected. I try to make this happen with every chapter, every scene, even every sentence. It needn't be a lurching, grating twist every time, like a car being scrapped at a junkyard. It can be a twist as gentle as braiding a princess's hair. But there must be constant twists. If the plot goes where the reader knows it will go, at any level, then the reader will lose interest. Or, worse, it will be pleasant only to the reader who wants to be spoonfed. Pardon my candor, but I'm not writing for that reader. As it happens, the current weather in New York is appropriate to this story.